I recall vividly when I was at Chishawasha Primary school just adjacent to St Dominic`s, I admired all big girls from this secondary school for girls run by Catholic Dominican sisters from Germany . In 1986 I started my form 1 at St Dominic`s and every day I spent at this school I became very empowered. One thing I recall vividly is that all girls at this school were of exceptional academic performance. The school had the cream and the biggest brains in the country as the screening was so thorough. Even as I was announced to have been one of the best at the school whilst in grade 7 I found my treasure. Today on my website I post a story of loss. There is no time I thought my class mates would die this young. You know when you are girls who are just powerful,on the go, brilliant and talented and you end up feeling life in its totality. You hope to reach old age and to part the world when all you worked for is enjoyed and fulfilled. I saw St Dominic`s Chishawasha page on Facebook and I jumped in to join. I posted my message announcing the death of my close friend Rosemary Chanyowedza , a genius in totality . I thought she was the only we had lost .I have not stopped thinking about Rosy as we passionately called her. Then all former school mates started announcing names of our former classmates who died. Just today I was reflecting about the loss to families and the country as a whole .Just one of our girls is worth a lot because of intelligence, skills and just being top cream of the country. The question I have is not WHY they died but if I were there HOW could I have helped my classmates. I would have done everything to help them in days of pain and illness. My story is sad as a girl who grew up at St Dominic`s. Many times there was no parent to visit me and one of the girls saw my tears and visited me and shared food. One girl saw me with no cotton wool for menstruation and she gave it to me. I really wanted to have a way to remember all my former school mates and only way I can do that is to post all messages from Facebook on my website -at Santa we always did something and we always led in something. Tributes came in a natural way from all former school mates . This is the culture we had -brought up by the nuns to love and care. Thats the gift St Dominic`s girls have. Rest in peace all girls from St Dominic`s and one day we will tell your stories. My heart tells me you are not gone . Sleep girls and remember when our lights in our rooms were switched off we slept so peacefully . I miss you. Rest in peace. Venah Mzuva Magamura I have fond memories of Mimi Mwadiwandicho (Sithole) who passed on soon after completing physiotherapy studies.Apparently she was anaemic. SHE WAS SUCH A SWEET GIRL.Form 4 1988. Mavis Jaravani that was really sad of Rosemary such a sweet girl. There is also Christina Nyamukondiwa its really sad news. Carol Mangezi Christine died from a very short illness ufunge. Shortly after that her little daughter passed away in less than a year. It was so so so sad. Her brother is married to my tete, so we were quite close and I used to see her often. Carol Mangezi ? @Venah , how are you ? Long time…So sad about Mimi, I remember her very well. Mavis Jaravani that is really sad. Venah Mzuva Magamura ? @ Carol. Am fyn. Hw r u?Ummmh. Christina. That is very sad. And Grace Maponga. She was working ku the then Zimbank and wen I went there to do business I looked for her just intending to say hie then I was told she passed on . Such is lyf. Barbara Ann Ndudzo-Mabutho Thanks sis Betty for this platform. It is sad to know that such brilliant and talented women have passed on. Form 4 ’91 lost Sekai Mangondoza [Mango] and Nothando Mazibeli, two women whose potential was yet to be realized. Barbara Ann Ndudzo-Mabutho ? @ sis Betty- Well done to the one[s] who started it! I am not a sister to Cosmas, I have heard his name but am not sure if we’re related. Stay blessed. Betty Steamer ? @Barbara when did Nothando pass on? She was doing some course with my sister at UZ, quite recently. Barbara Ann Ndudzo-Mabutho ? @Betty- not sure when. Heard kuti sometime last year. How are you my in law? 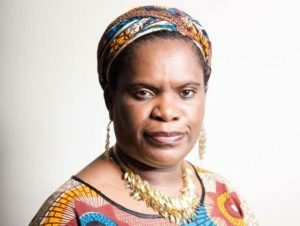 Barbara Ann Ndudzo-Mabutho ? @sis Betty- That would be great, at least we’d know where most of us are. St Dominic’s was not just our school. It was our family and we were all sisters. Dianah Vimbisayi Mahlamvana- Makawa ? @Barbara, went to Mango’s funeral, was very sad.Please remind me which one is Nothando, shame hey ,very sad? Barbara Ann Ndudzo-Mabutho ? @lady Di- Nottie was the short cute one. @ all concerned I am very happy to say is very much alive. I managed to get in touch with her. @Nothando- I am overjoyed muzukuru wambuya! Mwari vakanaka! Jeovitah Nematadzira Chimhamhiwa And Caroline Chidamba (Chimedza). I was working with her at ZB (former Zimbank). She passed on at the beginning of July this year. Jeovitah Nematadzira Chimhamhiwa We need to keep on praying for our sisters who have left us. I also remember receiving a message form Loice Madziyire on the passing on of Sekai Dlamini as well. Christina Nyamukondiwawas not well she had a sinus operation and she did not recover from the operation. Jessie Mudenge Ha when did Sekai Dlamini pass on nhai Jeovitah?she was my GM this one time ndiri pa attachment kuRTG?sad hey. Carol Mangezi Also fond memories of Bertha Sanyika, she passed away in 2004/5 I think.Sad indeed. Wendy Paraiwa Rocha Shoooo – just reading these messages – zvakaoma veduwe. I’d also heard the rumours about Nothando but glad to hear she’s alive! Apple Lloh How they wer dying at a young age? Jeovitah Nematadzira Chimhamhiwa She passed on last year if I am not mistaken. sai Chikwana This page is so touching, so many potential ladies passing on in their prime time, its sad really, may their souls rest in peace. Form 4 1986 we have lost Wadzanai Chiriwa, Carol Gundu, Carol Sithole, Babra Kasonde , Bertha Sanyika and so many more. Zvinorwadza, May Their Dear Souls Rest In Eternal Peace. Fungisai Chikwana This page is so touching, so many potential ladies passing on in their prime time, its sad really, may their souls rest in peace. Form 4 1986 we have lost Wadzanai Chiriwa, Carol Gundu, Carol Sithole, Babra Kasonde , Bertha Sanyika and so many more. Zvinorwadza, May Their Dear Souls Rest In Eternal Peace. Fungisai Chikwana She fell ill and left her kids at a very tender age. If Im not mistaken its now more than 6 yrs back. So sad indeed.